Laundry is a chore that many people dislike, and it’s a chore that most people want to leave behind while they travel. However, doing laundry on the road can free up space in your luggage for other valuable items or souvenirs. 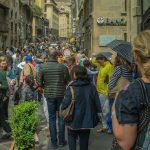 Thankfully, there are several ways to do laundry while you travel for a variety of preferences, making the chore less of a hassle. 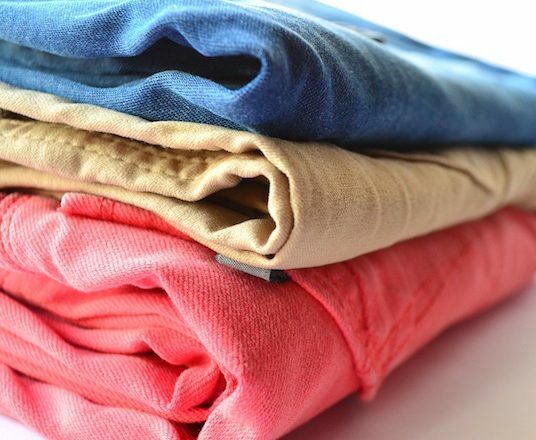 If you’re willing to pay the price, using a full laundry service is a convenient option. 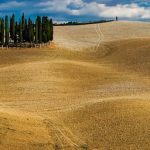 Many hotels offer these services, making it an easy and stress-free task. However, fees can get pretty pricey, so it’s important to do some research on the services and prices beforehand to know what to expect. I will confess, one particular load of laundry was worth every cent I paid after being on the road for almost a month and hand-washing my clothes. This is a less expensive option that still allows you to use the convenience of a machine. 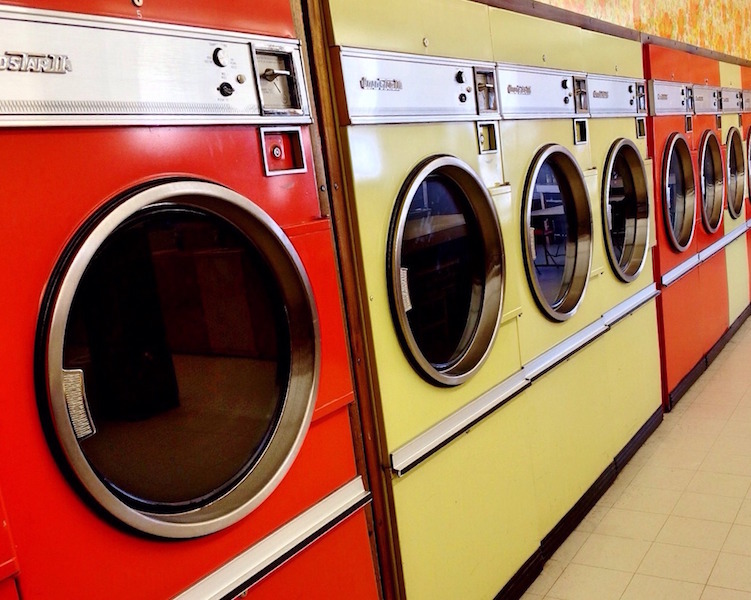 Laundromats are common services around the world and can typically be found without a problem. The staff at your hotel or hostel will be able to point you in the right direction of the nearest laundromat. Additionally, you can do some research before your trip to find information on local laundry services. There are several laundry supplies out there that you can purchase to bring with you on your travels. A travel laundry kit is a nice option to ensure you have what you need to wash your clothes. These kits typically include detergent, a sink stopper, a drying line, and a storage bag. Another helpful product is the Scrubba portable laundry bag. This gadget is a bag made with knots on the inside to help scrub your clothes clean. Washing your clothes in the sink is a popular way to do laundry on the road, as it’s free and can be done in the convenience of your hotel or hostel. This process simply requires you to fill the sink with warm water, soak your clothes, add soap, hand wash each item, rinse, and dry. Another free option is to fill a Ziploc bag with warm water, a bit of detergent, and your clothes, mixing them around and letting them soak before rinsing and drying. 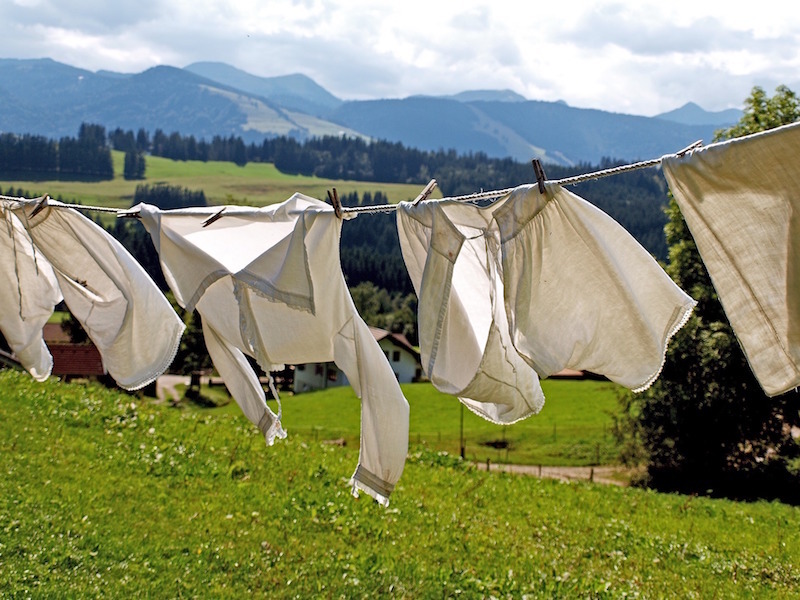 Your clothes can be dried using a travel drying line or anything else you can find to hang them on. It is helpful to have them as dry as possible before hanging them. One effective way to do this is to roll your wet clothes up in a towel and apply pressure to the towel to soak up the moisture. To prepare for your trip, pack clothes that can be worn several times before washing. Denim is one material that can be worn over and over again without needing to be washed. In addition, avoid packing materials that wrinkle easily, such as cotton. If you pack smart, you can limit the amount of laundry you will have to do and make it easier on yourself. 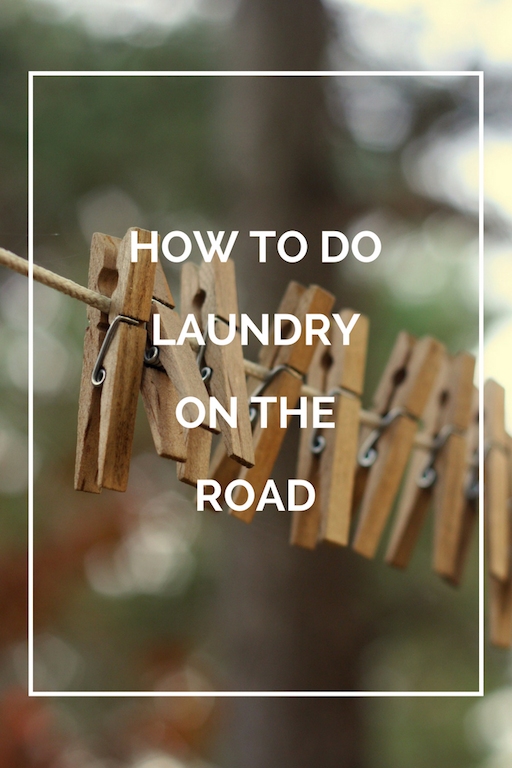 With these options for doing laundry on the road, you can save yourself luggage room and unnecessary frustration. ~ Kalina Davis.